We’ve had our eyes on South Carolina natives Sol Driven Train for the past few years as they’ve built a dedicated and loyal fanbase in the Southeast and beyond. We expect big things from the versatile quintet this fall. 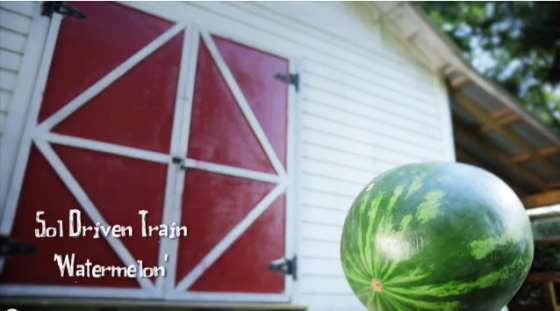 Recently the band put together a video for the summer jam “Watermelon.” The video for the catchy track was shot on a hot summer day at a farm on James Island, SC. Included within is one classic car, five band members, 40 watermelons, a group of lovely ladies and of course…a slip and slide. Sol Driven Train directed the video themselves with cinematography by Zac Breitengross and David Keller and editing by Keller.